Both China and Russia have recently experienced friction with western countries on economic and diplomatic issues, hence talk of the rise of a new Cold War. Both China and Russia have recently experienced friction with western countries on economic and diplomatic issues, hence talk of the rise of a new Cold War. The hegemonism and cold war mentality demonstrated by western countries in both trade and diplomacy are not only a test of economies and diplomatic strength of both China and Russia, but also a test of the relationship between the two countries. The ostensible aim of the trade war initiated by the US is to weaken the competitiveness of Chinese products and shrink the trade deficit with China by levying higher tariffs on Chinese products. It is presented as an economic action. However, US political and strategical intentions can be detected lurking behind. First, the trade war aims to hamper the development of China’s related industries. Using these as bargaining chips, the US hopes to force China to make concessions on some political issues in order to further its own interests. However, China reacted quickly on April 2 and 4 by proposing counter-tariffs on 53 billion USD US products. Confronted with China’s retaliation, Trump now is considering levying tariffs on Chinese products worth 100 billion USD. This US action is actually a manifestation of hegemonism. As the world’s only super power, the US does not abide by the global trade rules, neither does it uphold the stability of the world economy and shoulder its due responsibilities. Instead, regardless of the possible consequences, US insists on waging a trade war with China. As economic globalization progresses, there are growing trade and economic links between all countries. If there is a trade war between China and the US, the global economy and trade order would be put at great risk. It has been nearly 30 years since the Cold War came to an end. The stereotyped US mindset of hegemonism is well out of tune with present global trends. Even though the wider US tariff base on imported steel and aluminum products affects Russian products too, the diplomatic war between Russia and western countries is more a bigger issue. The UK condemned Russia for supposedly conducting a nerve agent attack on former Russian double agent Sergei Skripal on March 4, and demanded that Russia provide an explanation for the attack within a deadline of two days. The Russian Foreign Minister Sergey Lavrov denied any involvement, and requested the right to investigate the case with the UK. But the UK expelled 23 Russian diplomats on March 14. Since then, the diplomatic tremors caused by the incident have continued, with a group of western countries including the US, the UK, France, and Germany expelling more than 150 Russian diplomats. Russia has taken counter measures by expelling Western diplomats. There has been constant friction between Russia and the West in recent years. But on this occasion events have dragged the relationship between Russia and the West to freezing point. Since the collapse of the Soviet Union, the western world has maintained a foreign policy towards Russia intended to weaken, exclude, and constrain Russia, and spared itself no effort to prevent Russia’s rejuvenation by limiting its strategic space. After several rounds of eastward expansion of the European Union (EU) and the North Atlantic Treaty Organization (NATO), Russia now exerts little influence in central and eastern Europe. More than that, the western world is attempting to further expand its influence into the post-Soviet regions, drawing Georgia and Ukraine into NATO and the EU. In response, Russia has increased its vigil over its buffering regions and the expansion of western powers. From the conflict between Russia and Georgia in 2008 to the Ukraine crisis in 2014, Russia has taken a series of irregular measures to counter the expansion attempts of the West. The economic sanctions imposed by western countries on Russia have been maintained since Crimea rejoined Russia. The diplomatic war triggered by the chemical attack has further soured the relationship. It should be noted that the UK does not have any concrete evidence linking the chemical attack with Russia. For the time being there is no justification for accusing Russia and stirring up a diplomatic war. This incident proves that the Cold War mentality is still prevalent in the western world. We should recognize that it is a poison to world peace and development. 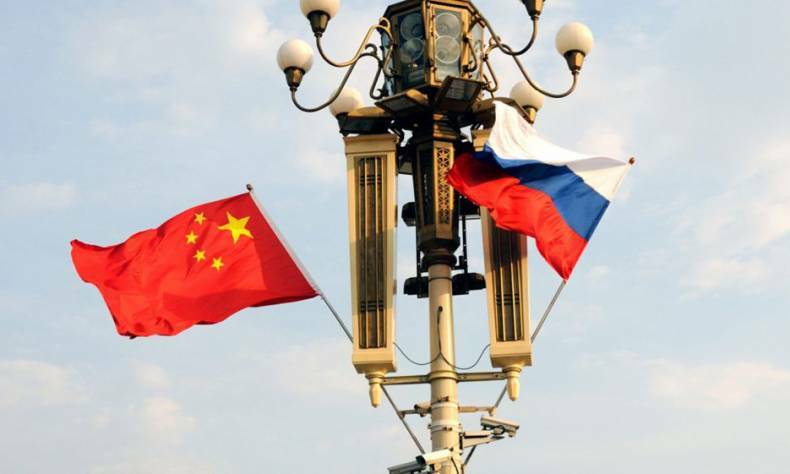 After the chemical attack incident, Chinese foreign minister Wang Yi emphasized that the China-Russia comprehensive strategic partnership of coordination is as stable as Mount Tai. There is always room to make the relationship even better. He voiced strong confidence in China-Russia relationship, saying “sky is the limit” for bilateral cooperation. At the end of March, as the diplomatic war continued to escalate, China announced that its foreign and defense ministers will visit Russia. On April 5, during his visit to Russia, Wang Yi pointed out that the current international and regional situations are fraught with difficulties. It is essential that China and Russia, as close strategic partners, enhance communication and collaboration. Dispatching key officials to visit Russia at this crucial time represents strong support to Russia from China; it also manifests the current warmth of the China-Russia relationship. As the international situation becomes more complex, hegemonism and a Cold War mindset can only lead to a zero sum game, which is obviously harmful to world peace and stability. An amicable China-Russia relationship is good for both countries in response to these problems. As comprehensive strategic partners of coordination, China and Russia have developed a stable relationship which has continued to thrive in recent years. The bilateral and multilateral cooperation mechanisms between the two countries are a good example to the rest of the world, and the relationship between China and Russia is a good example of the new model of big power relationships. The cooperation and mutual beneficial thinking it embodies are powerful weapons against the “New Cold War”.